The most common advice we give to our customers is regarding which material and type are best suited for their purposes. The first factor to consider is whether you want magnetic or receptive material. Receptive – the material itself hold no magnetic charge but magnetic material will stick to it. The most widely used receptive material is steel. When steel isn’t available though, and if you’re wanting to stick magnets to a wall, for example, you need a magnetically receptive surface – such as our flexible iron sheets, magnetic paint, or steel tape. 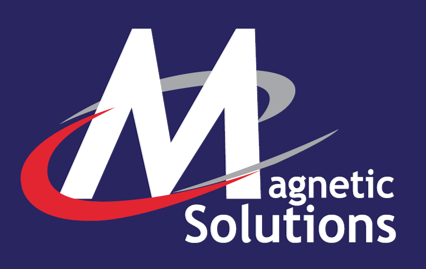 Magnetic – the material holds a magnetic charge and will be attracted to other magnets and can attach to receptive materials. The magnetic sheets we sell come with a white vinyl, coloured gloss or plain finish. We also offer adhesive-backed magnetic sheets. To summarise, receptive means that magnets will stick to it – such as steel. Magnetic means that it will stick to receptive surfaces. For example, steel warehouse racking is receptive, but not magnetic. A magnet is both magnetic and receptive.